I have to say that I’m a huge fan of the Glimmies Polaris. I wish the cute fairies were around when I was a kid. I’ve always loved all things magical with fairies, goblins and elves. 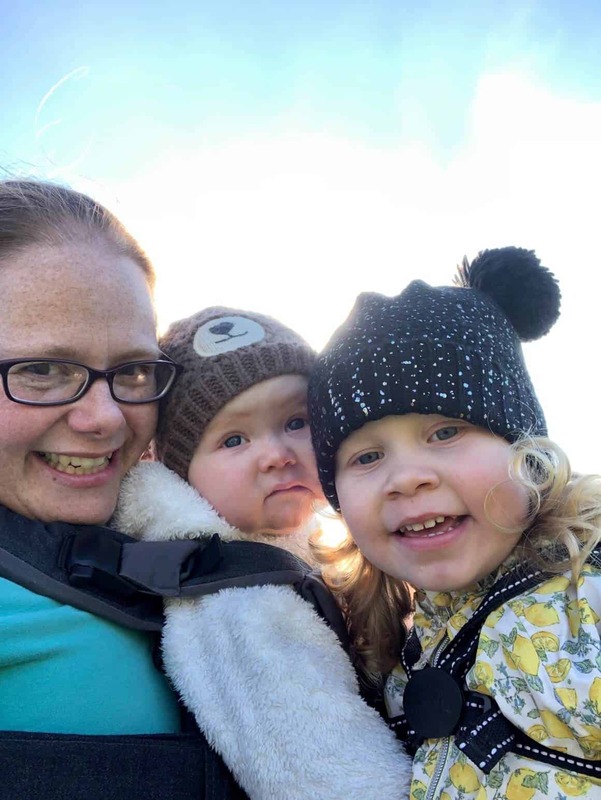 As always it was a pleasure to open up the packaging to see what these Glimmies Polaris were all about. Flair were kind enough to send us a twin pack, a triple pack and a Glimgloo to delve into. What makes these Glimmies special is that they go on an adventure to Polaris, a wonderful place made of ice in the Glimmies world. 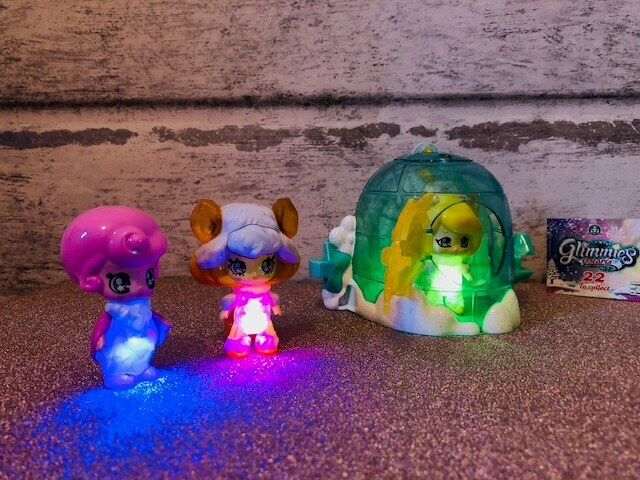 These adorable cute Glimmies only light up in their natural environment. You have to blow on them to activate their light-up feature. Their lights also change colour. 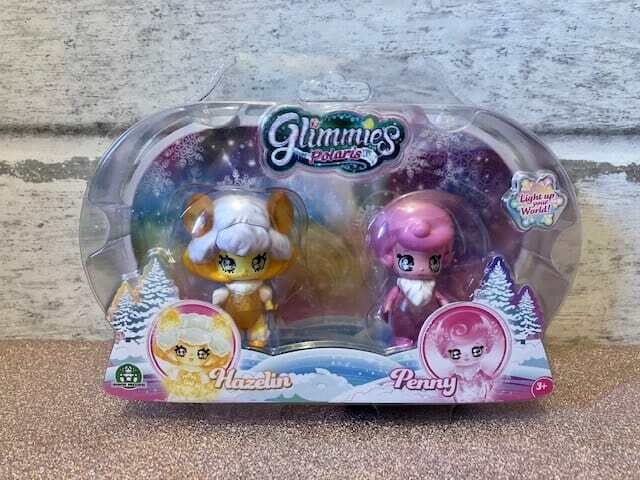 Glimmies Polaris are available in twin and triple packs. 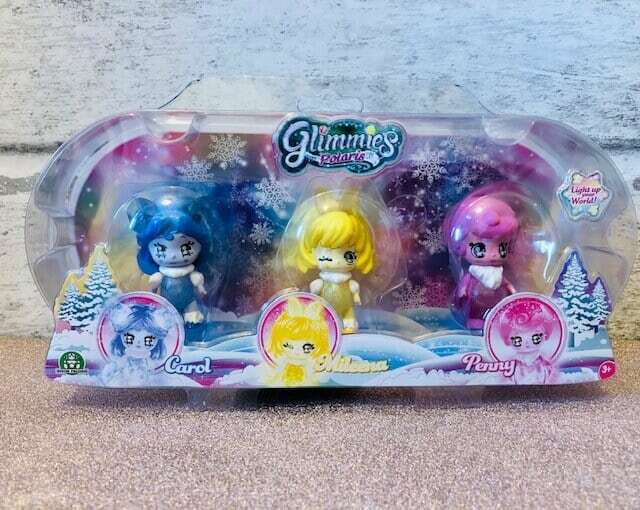 In the twin packs there are 6 different Glimmies to collect. In the triple pack there are two assorted styles including two exclusive Glimmies. 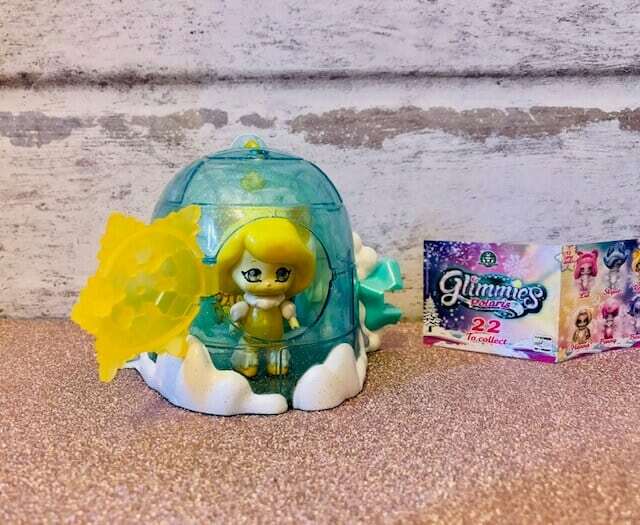 You can get the Glimmies Polaris Glimgloo, which is the perfect home for your Glimmies. 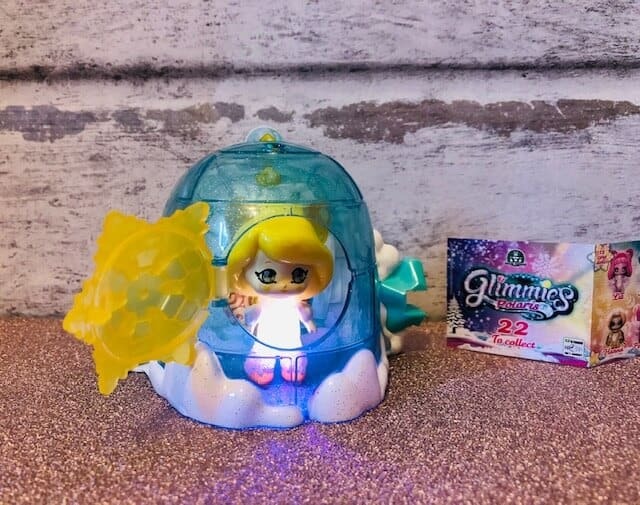 You can place the Glimmies inside the Glimgloo and blow through the roof and it will magically light up. 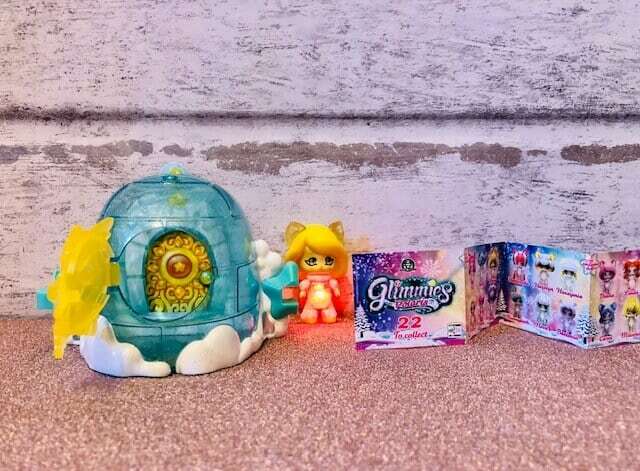 With your collection of Glimgloo’s you can connect them all together using their star pins to create the Polaris village. I think they look fantastic connected together. 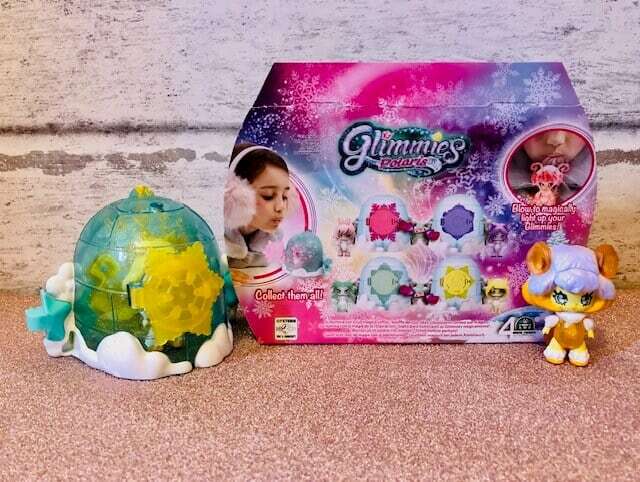 There are 4 different Glimgloos to collect and that each comes with an exclusive Glimmie Polaris. The back of the Glimgloo’s have an interchangeable scene. There is a Glimsled also available, with which the Glimmies use to get around. They love to have a sled ride around Polaris. It comes with an exclusive Glimmie. Unfortunately we never got the Glimsled to review this time. 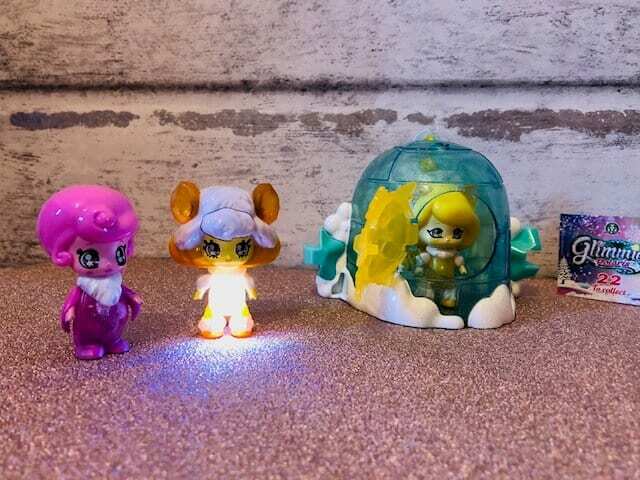 Glimmies Polaris are adorable little snow fairies that will make great friends for your kids. You only have to blow on them once to light up their tummies, and if you blow again they will change colour. Connecting the Glimgloo’s is a fantastic way to play with friends and create the Polaris village. The Glimmies are a lovely collectible toy which would make any little girl happy. They are one of those happy, make you smile toys, that are a pleasure to play with. Each Glimmies Polaris pack comes with a handy collectors guide so you can check off the Glimmies you got and the ones you need to collect. 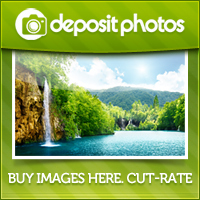 They stand approximately 6 cm tall and come in a variety of colours. I adore the little figures, great for popping on a shelf, and they would make an excellent Christmas gift. You can buy them at Amazon, Argos and Debenhams. You can catch up with my toy reviews here. *I was sent these Glimmies Polaris products in exchange for this post. All thoughts and opinions are my own.